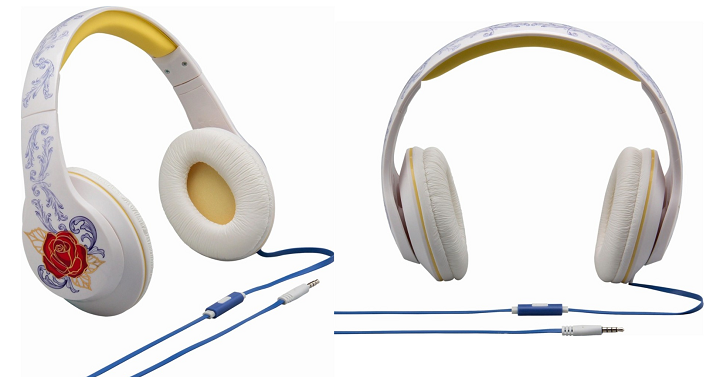 Best Buy: Kids Disney Beauty & The Beast Over the Ear Headphones Only $8.99! Best Buy has their iHome Over the Ear Headphones Disney Beauty & The Beast for only $8.99 while they’re on clearance! That’s a $16 savings and perfect to pick up if you’re headed to Disneyland or have a big Belle fan! Shipping is an additional $5.49 or you can opt for in-store pick up if available in your area. Or, spend $35 or more and you’ll receive free shipping.